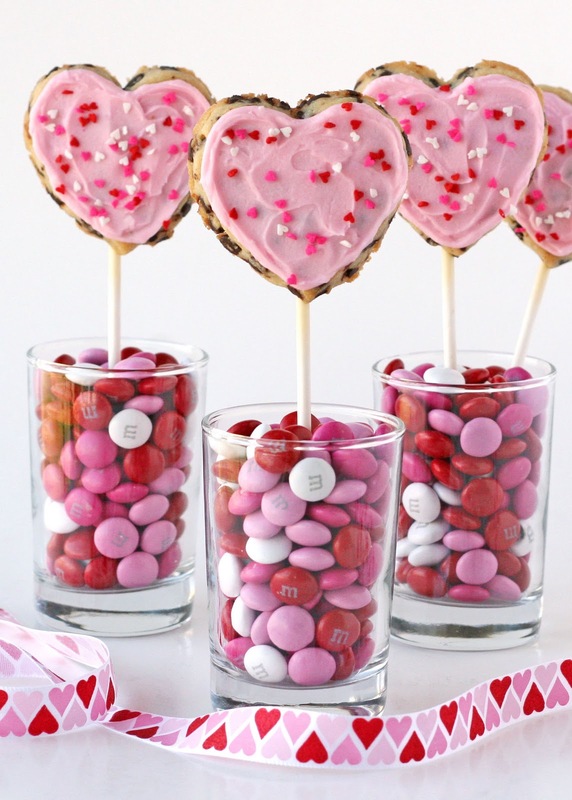 It would be pretty easy to argue that most any sweet treat is extra cute when put on a stick. These delicious chocolate chip roll out cookies are topped with simple butter frosting and sprinkles, and with the addition of a lollipop stick they make extra adorable Valentine’s or sweet party favors. Traditional chocolate chip cookies spread or puff far too much to be used as cut out cookies, but this roll out version is just as delicious as the beloved chocolate chip cookie, but holds it shape quite well, and strikes the perfect balance between delicious and cute! Because this recipe contains mini chocolate chips, it would be difficult to cut the dough with intricate shaped cookie cutters. Simple shapes, such as hearts or circles work great! In the bowl of an electric mixer, beat butter until smooth. Add sugars and cream together. Add egg yolk, then vanilla. Beat until fully incorporated, and light and fluffy (30 seconds). Add salt, then add flour, one cup at a time. Add chocolate chips, and mix until just combined. Form dough into two large balls. Put one ball of dough in a bag in the fridge, while you roll out and cut the other dough as desired. Use remaining dough from fridge once you have used the first ball of dough. 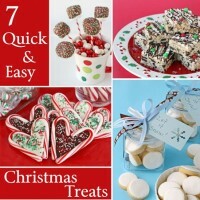 Bake cookies in a pre-heated oven on parchment or Silpat lined baking sheets for 10-12 minutes. Roll out the dough onto a lightly floured surface, cut with desired shape (a small heart in this case). Turn the cookie over and press a lollipop stick (these are 6″sticks), into the dough slightly. Use a bit of extra dough to cover the stick. Press the dough around the stick as best you can. Turn cookies back over, press down onto baking sheet slightly, and bake as directed (10-12 min at 350*F). The baked cookies will be nice and flat on the back, and should show no signs of the added dough. Cool completely before decorating. 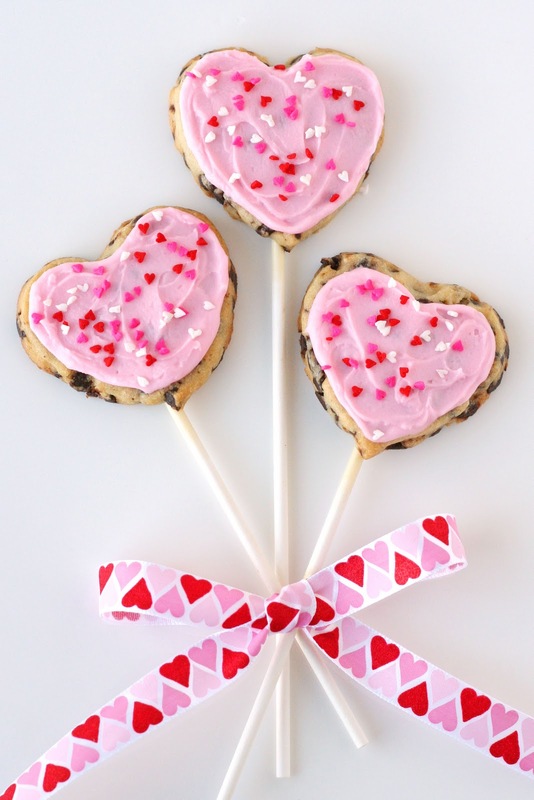 These cookie pops actually look quite cute plain, and I was tempted to leave them as is… but it seems to me most anything is extra cute with pink frosting and sprinkles! These cookies could certainly be decorated with Royal Icing, but I wanted something extra simple, so I used my Simple Butter Frosting Recipe tinted pink, and spread it on the cookies with an off-set spatula. 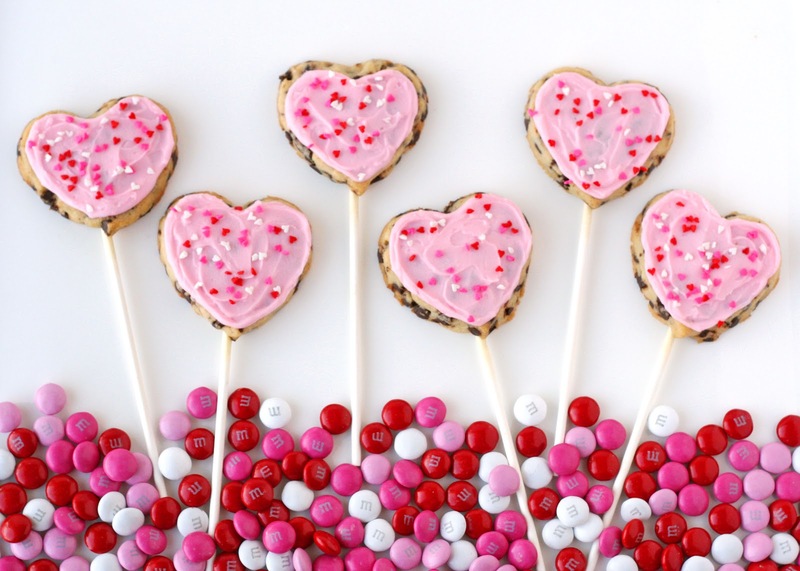 Top with cute Valentine’s sprinkles and you have an adorable and delicious treat! 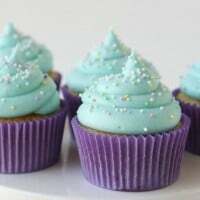 The butter frosting does not dry as hard as royal icing, but will dry enough to be packaged in cellophane bags. 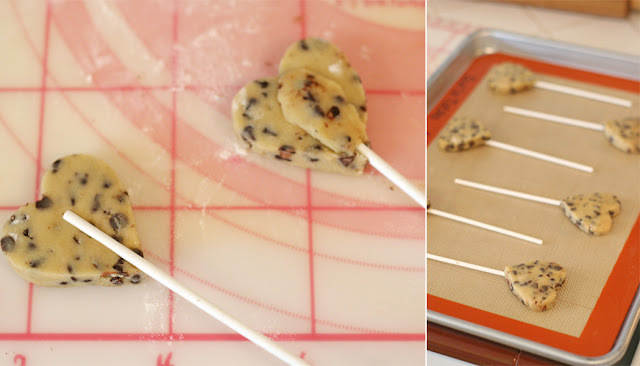 Hi, how many cookie pops did this recipe make? Hello!!! 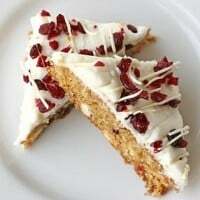 This is an easy and delicious recipe!!! My dough is very dry….. Is that how is supposed to be? I added a little of milk… And still… What should I do? These were so dry with no sweetness. We ended up throwing the whole batch away. What a waste of ingredients!